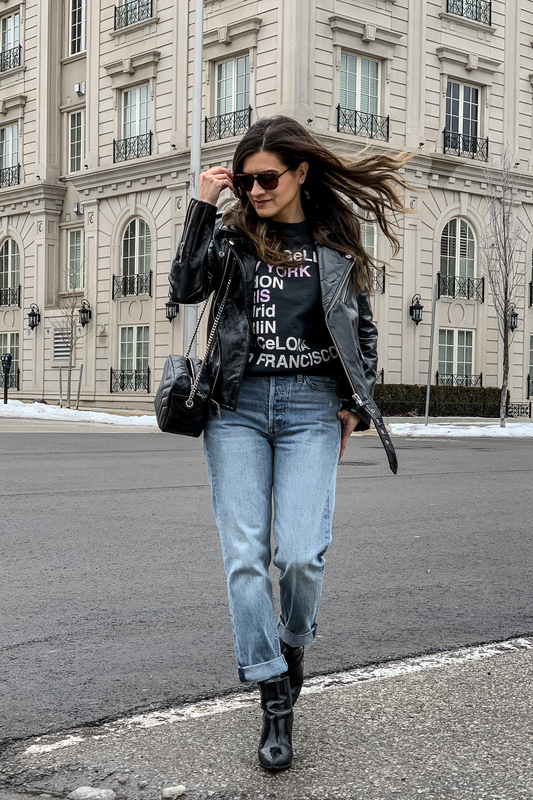 I love me a good pair of jeans and have my favourite tries, tested and true designer brands - Rag & Bone, Jbrand, AGolde. They fit well and the quality is always good but the price tag is something I could do without. While I’m open to the idea of affordable denim, I find the fit and quality is usually a bit off so I don’t even bother unless they’re Levi’s. Anyway, I was online shopping from bed late one night because I couldn’t sleep and ended up ordering a pair from Aritzia’s Denim Forum line. Long story short, I fell in love with them and have been wearing them non-stop so I recently bought the same pair in the lighter wash. 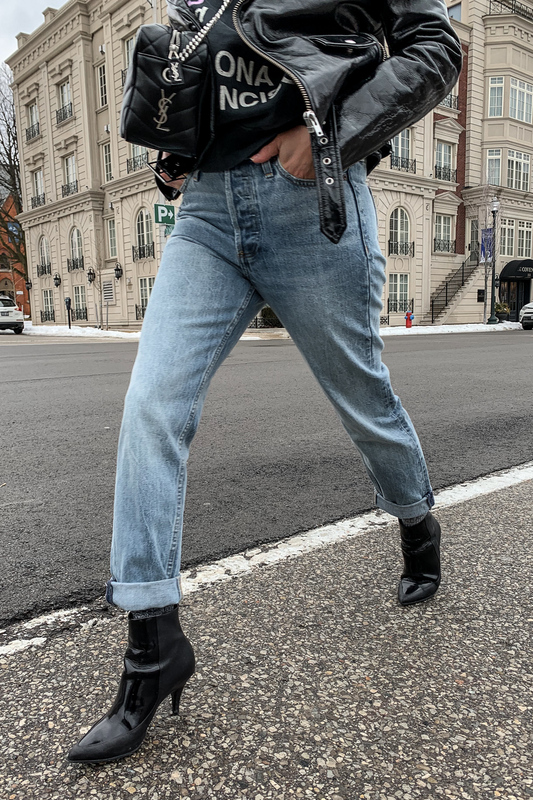 These Ex-Boyfriend jeans fit true to size, are 100% cotton so they’ll get better with each wash, and the fit is superb. Even with my hips and no bum, I love the way they hug my curves perfectly. For $128, I say these are the best jeans in the affordable category that I’ve found to date.